With December here, we're told it's officially OK to talk about Christmas, we've compiled some handy gift guides for you or the snapper in your life. We also took to the mean streets of er, Bath, to find out what type of camera you should be packing for all those festive markets that have magically sprung up in our town centres. But it's not all festive jollity, there's also been good news for Nikon and a host of new camera reviews for you to enjoy. Read on to discover the weeks' top news and reviews, with links to the full story with each one. 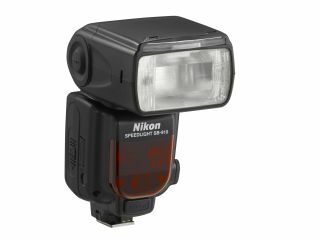 It's been a doubly good week for Nikon, which not only announced the release of its new flagship flashgun, the SB-910, but we've also learned that the clean-up operation after flooding devastated the Thai factory is almost complete, with production beginning again in January and expected to reach normal capacity by March. Now can we have some shiny new DSLRs to look at please? We never stop thinking of you, dear reader, and we know how confusing both effective focal length and these sensor sizes we keep going on about can be. Therefore, we've put together two handy guides to do away with that mystery. Read effective focal length explained to discover the real focal length of your lenses, and check out sensor size explained to get to grips with APS-C, full-frame and more. Struggling to put pen to paper for your Christmas wishlist? Wonder no more, as we have kindly compiled our Best Christmas Gifts for Photographers which should appeal to every serious snapper out there. On the other hand, if you like your gifts a little bit quirkier and fun, try out Best cool gifts for photographers, which comes complete with a handy guide as to how good you need to have been to be in with a chance of receiving one. Also this week we've been out photographing our local festive market in a bid to find out what the best type of camera for shooting street photos is. We pitted a DSLR against a compact system camera against a compact model. They all have their pros, they all have their cons, but which one will win? Find out in our best camera for street photography feature. Finally this week, we've been busy uploading new reviews for you to get your peepers on. Panasonic's latest compact system camera, the GX1 is designed to appeal to professional and enthusiast photographers. Read our Panasonic GX1 review to find out how it got on in our in-depth tests. Got £10,000 to spare? You might be drawn towards the Pentax 645D, the medium format camera which is the company's first foray into the format. It features a whopping 40 million pixel sensor, and a CCD sensor which claims to exceed the image quality of a 35mm full-frame DSLR. See what we made of it in our Pentax 645D Review. Looking for a beginner DSLR this Christmas? The Nikon D3100 is great for those just starting out, especially at its low-price point. We've updated the review to include in-depth analysis from our lab. That's it for this week, you can let us know if you have any kit dilemmas over on our Facebook page or Twitter feed. Liked this? Then check out Canon vs Nikon: which DSLR should you buy?